Each of our associates has several years of experience serving a large and diverse range of clients in a wide variety of industries, including manufacturing, technology, entertainment, retail, and services. Every member of our team has fulfilled numerous auditing mandates and managed major projects. Their considerable experience and strong expertise mean that each of our professionals can act as a versatile advisor, able to adapt to any situation and guide you in making important decisions. You can count on their professionalism, leadership, and personal commitment to provide you with services on par with your expectations. We are here to support you in all stages of business development. Whether you are starting your business, or for managing its growth, optimizing its operational processes, or carrying out special projects such as business acquisitions, restructuring or applications for funding, we are the right partner for you. With over 35 years of experience, Gilbert Masson is greatly appreciated by business owners due to his in-depth knowledge in the field of accounting and business in general. A founder and administrator of the chartered accountants firms Cabinet de Gilbert Masson, CPA and Gestion Corporative St-Paul inc., he is characterized by his strong understanding of challenges faced by entrepreneurs. As one of the firm’s Partner, Mr. Masson supports clients in major, strategic decision-taking, the implementation of succession planning, and wealth management. His collaborative approach has proved to be invaluable in helping clients achieve their full potential as entrepreneurs, while at the same time reducing their income taxes and protecting their assets. Mr. Masson has always been on the side of success-oriented entrepreneurs. Mr. Masson is also a member, since its founding, of Groupe Servicas, one of the most important networks of independent accounting firms in Quebec, and chaired its Board twice over the years. Geneviève Lacharité is a chartered professional accountant and a member of the Ordre des comptables professionnels agréés du Québec since 2004. She worked for ten years in a nationwide accounting firm before founding Lacharité McComber Kuczynski. Mrs Lacharité has developed expertise in the areas of audit and assurance, accounting, and financial reporting. After graduating from HEC with a citation of excellence, Mrs Lacharité has pursued her career with the same rigour and constant striving for excellence, thus becoming a committed and discerning professional who can often shed a new light on issues and suggest high added value solutions to her clients. Mrs Lacharité has also earned significant experience in financial management and has provided several company owners with business advice that helped them achieve their growth targets. Mrs Lacharité is a laureate of the CPA Émergence 2012 Prize. This distinction highlights the determination, dynamism, and contribution of young CPA professionals who distinguished themselves by their achievements or through tackling challenges at the professional or community level. 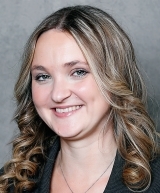 Since September 23, 2013, she co-manages the firm with the core mandate to establish Lacharité McComber Kuczynski as the leading boutique accounting firm in Quebec. Thomas McComber is a chartered accountant and a member of the Ordre des comptables agréés du Québec since 2004. He worked for ten years in a nationwide accounting firm before founding Lacharité McComber Kuczynski. An expert in the areas of audit and assurance, accounting, and financial reporting, he has provided consulting services for over five years through Info Entrepreneurs, a Canadian government service delivered by the Board of Trade of Metropolitan Montreal. 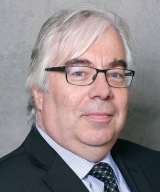 Mr. McComber has developed considerable expertise working with an important entrepreneurial clientele in a vast array of business sectors, including manufacturing, construction, entertainment, new technologies, import-export, and distribution. Mr. McComber has always been passionate about entrepreneurship and business development, and has provided his leadership for over two years as secretary-treasurer of BNI Corporate Connexion Executive II, a group of entrepreneurs that are well connected to the economic reality of Montreal. He has been in charge of several audit and assurance mandates and participated in several large-scale special projects. His considerable experience and comprehensive expertise allow Mr. McComber to act as a versatile adviser. Since September 23, 2013, he co-manages the firm with the core mandate to establish Lacharité McComber Kuczynski as the leading boutique accounting firm in Quebec. 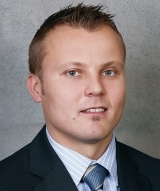 An Partner and co-founder of the firm, Rafal Kuczynski has over twelve years of experience in accounting, audit and assurance, tax, and business advice to SMEs and non-profit organizations, in various sectors of activity, including manufacturing, retail, construction, and health services. 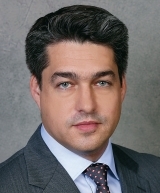 Over the course of his career, Mr. Kuczynski has been in charge of, or involved in, various special projects, such as the assessment of internal controls, due diligence (buying/selling of businesses), as well as several restructuring and reorganization missions. Mr. Kuczynski is a laureate of the Prix Relève d’Excellence 2013 – Consulting Services. M. Kuczynski is actively involved as administrator and Board member of the Chambre de Commerce de l’Est de Montréal, and as treasurer and Board member of the Maison des Enfants de l’Île de Montréal. Mr. Kuczynski is recognized for his ability to manage and achieve complex mandates that require an in-depth understanding and analysis of context. This ability, together with his capacity to work in close collaboration with clients, allow him to assess precisely the situation, prioritize tasks, and develop effective action plans and practical business advice.